Microbiological culture media specialists Lab M has introduced its new Modified Giolitti and Cantoni Broth (ISO) for the detection and enumeration of coagulase-positive staphylococci. This adds to Lab M’s range of dehydrated culture media formulated to meet the specific ISO requirements of the food industry. Modified Giolitti and Cantoni Broth (ISO) is used for the detection and enumeration of coagulase-positive staphylococci, including Staphylococcus aureus, from food and animal feeding stuffs using the Most Probable Number technique according to ISO 6888-3:2003. This versatile medium can be used with or without an agar/paraffin plug on the surface, depending upon the testing regime employed. Modified Giolitti and Cantoni Broth is optimised for samples where staphylococci may be stressed and/or present only in low numbers. Their growth is promoted by the inclusion of sodium pyruvate, glycine and high concentration mannitol. Potassium tellurite, which inhibits other Gram-positive organisms, and lithium chloride, inhibitory to Gram-negative bacilli, provide the necessary selectivity.Tellurite also serves as an indicator for coagulase-positive staphylococci, its reduction by these organisms resulting in a blackening of the broth or the presence of a black precipitate. The introduction of this Modified Giolitti and Cantoni Broth (ISO) enhances Lab M’s range of media for the isolation of coagulase-positive staphylococci in accordance with ISO 6888-3:2003. GE Healthcare has announced that the capabilities of the Capto platform are now extended to include Capto ImpRes ion exchange chromatography media for late-stage purification of a wide range of biomolecules. The first Capto ImpRes products to be launched are Capto SP ImpRes and Capto Q ImpRes, strong cation and strong anion exchangers, respectively, that enable high throughput, high resolution polishing, and flexibility in process design. Capto ImpRes media are based on a rigid high-flow agarose matrix that allows the use of high flow rates and higher bed heights, providing biopharmaceutical manufacturers with the possibility to reduce cycle times and maintain or reduce column equipment footprint, thus contributing to driving improvements in process economics. 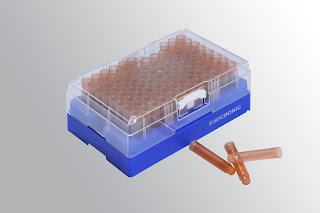 Capto ImpRes media are available in several convenient formats, including Predictor 96-well filter plates and prepacked HiTrap and HiScreen columns to support all stages of biopharmaceutical development and manufacture. As part of the GE Healthcare BioProcess media platform, Capto ImpRes ion exchangers are manufactured under validated production methods, backed up with Regulatory Support Files, and have Secure Supply routines in place. In the POM product line (POM: polyoxymethylene; polyacetal), these are the two new grades Ultraform N2320 003 PRO and Ultraform H4320 PRO. They are joined by Ultradur B4520 PRO, BASF’s first PBT (PBT: polybutylene terephthalate), which is optimized for applications in medical technology. These three new “PRO” grades will be available in commercial quantities starting in February 2011.
impact resistance and stiffness, this new Ultraform N grade may just be right for the manufacture of highly stressed elements such as functional parts in insulin pens, atomizing devices and dry-powder inhalers. In contrast, the likewise new Ultraform H4320 PRO has been tailored specifically for processing by extrusion at high ejection speeds. It has an even higher viscosity than the Ultraform N grade, it is more impactresistant while also being very stiff as well as strong, and it displays good thermal stability. Its target applications are plug-in connectors, handles of surgical instruments and other components in small production runs that are made from semi-finished parts. With its Ultradur B4520 PRO, BASF is launching its first PBT for injection-moulded applications in medical technology. In the new Ultradur PRO, the well-known high dimensional stability of PBT has been combined with an optimized shrinkage behavior, so that this product now meets the stricter requirements made of the dimensional accuracy of components intended for medical devices. Other advantages of this material are that it absorbs very little water, is highly resistant to many chemicals, can be easily printed on and sterilized with ionizing (gamma) radiation or ethylene oxide. The combination of plastic parts made of Ultraform PRO and Ultradur PRO translates into additional synergisms: for instance, insulin pens with excellent sliding friction properties can be produced with these materials. Here, Ultraform PRO accounts for low friction between the individual functional parts while Ultradur PRO, as the sliding member, reliably prevents annoying noises during use. A prototype drug already shown to hold promise for treating autoimmune disorders like lupus, arthritis and psoriasis halts established graft-versus-host disease (GVHD) in mouse models of bone marrow transplantation, research at the University of Michigan and the University of Florida shows. The research, published in the January 26 issue of Science Translational Medicine, also offers new insights into how the cells that cause GVHD and other immune disorders make adenosine-5'-triphosphate (ATP), the fuel cells use to survive and carry out their prescribed functions. These findings challenge a long-standing model of how activated cells of the immune system make ATP, opening the door for fundamentally new approaches to combat immune diseases. Bone marrow is the soft tissue that helps form blood cells, including the white cells that fight disease and infection. Bone marrow transplantation is a life-saving procedure used to treat diseases once thought incurable, including leukemia, aplastic anemia, Hodgkin's disease, multiple myeloma, immune deficiency disorders, and some solid tumours. During what's known as allogeneic bone marrow transplantation, healthy bone marrow stem cells from a donor are transfused into a patient, replacing marrow that is either not working properly or has been destroyed by chemotherapy or radiation. In recent years, new metagenomics techniques have enabled scientists to delve ever-deeper into the world of gut microbiota, revealing the strong influence that intestinal bacteria exert on our health. Bifidobacteria, one of the most numerous such bacteria, confer to their hosts a range of beneficial health effects, aiding in digestion, boosting the immune system and even reducing cancer risk. The mechanism underlying these effects, however, has remained a mystery. BioFocus announced today that its Compound Focus Inc subsidiary has signed a three-year compound management services agreement with Lundbeck Research USA Inc. Under the terms of this agreement, Compound Focus will manage Lundbeck’s liquid chemical library collection, distributing screening sets to high throughput screening centers in both the USA and Europe. These services will be provided by Compound Focus’ compound management facility in South San Francisco, USA. Biotage has announced the release of its new Analytical Sample Preparation Catalog. The expanded, 200-page catalogue includes a range of products for bioanalytical, forensic and clinical applications. To order or download the catalogue, visit www.biotage.com. A searchable version of the catalog is also available on the Biotage website. This new Biotage catalogue includes an Applications Index in addition to comprehensive information to assist in the use of these products. Additionally, the convenient Product Selection Guide enables customers to quickly locate the product that best fits their application needs. New products include the expansion of the EVOLUTE family of resin-based sorbents and the AFFINILUTE TM MIP range of molecularly imprinted polymers for class selective clean up. In addition to the widely used 96 well plate format, ISOLUTE SLE+ supported-liquid extraction columns are now available providing a faster, cleaner and more cost effective extraction for larger volume samples. The RapidTrace and TurboVap range of automated sample preparation and sample drying instruments are included for the first time. Available as silica and resin phases, Biotage solid-phase extraction products cover a wide range of applications including: the detection of low-level pesticides in foodstuffs and environmental matrices; analysis of trace levels of both performance enhancing and drugs of abuse in biological samples; extraction of drug candidates and their metabolites from biological fluids and the determination of acrylamide and melamine in foodstuffs. Biotage sample preparation products are supported by a wealth of knowledge and experience in method development and trouble shooting. Next Generation Sequencers have found their way into service providing labs and the global biomedical research community. 2010 has seen a serious uptake of Next Generation Sequencing technology, and today it is perceived as an indispensable tool. New analysis from Frost & Sullivan finds that the market for Next Generation Sequencing earned revenues of $746 million in 2010 and estimates this to reach $3 billion by 2017 worldwide. Both suppliers and end users have shown immense interest in driving the technology towards diagnostics applications, where it is expected to play a significant role in the next two years. However, the research realm is harnessing most benefit of Next Generation Sequencing. The most important challenges for the technology to remain successful though, is the increase in data volume, which requires efficient data management systems as well as the interpretation and validation of new and complex findings. In order to be able to cope with the plethora of information generated through NGS, new bioinformatic software and tools are necessary. Suppliers are therefore trying to close strategic partnerships with companies offering bioinformatics solutions. The Automation Partnership (TAP), a supplier of automation for life science applications today announced the new Fill-It 48-way benchtop automated dispensing system will be premiered at LabAutomation on January 29th – February 2nd 2011. TAP’s experts will be on stand to explain how the new Fill-It 48 way system has been developed to meet scientists’ need to dispense up to 5ml in an aseptic environment into Nunc's pre-loaded 48 way racks of 2D barcoded 2.0 and 5.0 ml vials. The benefit of automatically filling larger volumes of potentially hazardous biological materials is that researchers can increase their production of cell line libraries and cell banks without compromising sample integrity or their safety. The new Fill-it 48-way system is compact enough to fit in a standard laboratory tissue culture cabinet or its own specially-designed mobile class II biological safety cabinet. Fill-It’s safety cabinet can be automatically moved up and down to suit each researcher’s height. The system can also be easily manoeuvred for use in contract applications where different cell lines have to be dispensed in separate laboratories. It has been designed with external vents so that the Fill-It 48-way system and cabinet can be easily sterilised using hydrogen peroxide, thus providing a safer alternative to formaldehyde decontamination. Membrane filters play a critical role in providing sterile air and gases in pharmaceutical, biotechnology and containment applications. The filters must be proficient in removing airborne viruses (bacteriophage) and spores from large volumes of moist air/gas streams over prolonged periods. This validation guide describes the results of testing Fluorofil cartridges under the approved protocol ASTM F838-05, a rigorous test for evaluating the bacterial retention characteristics of membrane filters used to sterilise liquids. 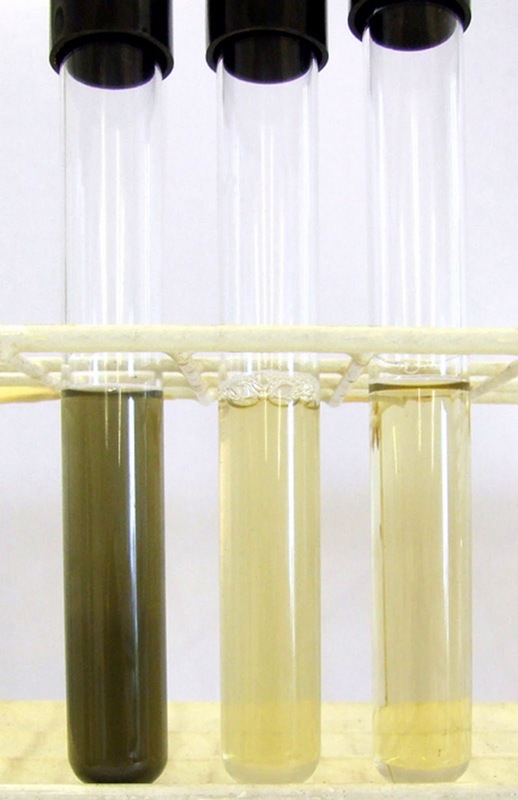 The test data confirmed that standard production Fluorofil filter cartridges will retain very high challenge levels of the industry standard test organism Brevundimonas diminuta. To demonstrate sterilisation capabilities in a dry gas process, the Fluorofil filters were challenged with aerosolised phage, as demonstrated using MS-2 coliphage and aerosols of non-vegetative spores, as demonstrated using spores of Bacillus atrophaeus. Further information is provided to show all components used in the Fluorofil filter cartridge are non-toxic and biologically inert to comply with USP Class VI - 121OC and Code of Federal Regulations (CFR), Title 21. 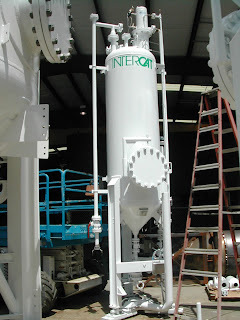 Fluorofil filter cartridges are also demonstrated to retain integrity after repeated steaming in place cycles (SIP). Data is provided to demonstrate the high performance liquid flow and air flow characteristics of Fluorofil membrane cartridges. Fluorofil cartridges utilise the inherently hydrophobic expanded polytetrafluoroethylene (ePTFE) membrane, which provides the highest levels of biosecurity throughout the process industry. When combined with quality all-polypropylene components and high integrity manufacturing techniques, the Fluorofil filter cartridge is ideally suited to the most demanding process conditions. Fluorofil cartridges are constructed in an ISO Class 5 clean room under tightly controlled conditions using advanced, highly specialised machinery. Quality and consistency of product are assured by the quality control and manufacturing procedures, which are in place throughout all stages of manufacture. Each module of every Fluorofil™PTFE membrane cartridge is 100% integrity tested during manufacture by the forward flow diffusion method. 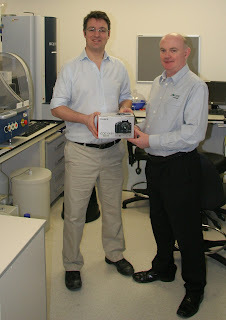 A scientist at the Genomics CoreLab of the NIHR Biomedical Research Centre at Addenbrooke's Hospital (Cambridge, UK) has won Porvair Sciences' latest free prize draw for people registering online for the company's 2010-2011 Microplate Catalogue. Interest in Porvair Sciences' latest free draw to win a Cannon EOS 1000D DSLR camera was intense, but the lucky winner was Dr Ian McFarlane, a biomedical researcher in the Genomics CoreLab based in the University of Cambridge Metabolic Research Laboratories. Ian is responsible for leading a microarray and genomics service and is a regular contributor to the European chapter of the Laboratory Robotics Information Group. Presenting the prize - Porvair Sales Manager, Steve Knight, commented "The Genomics CoreLab are moving to new laboratories with a high degree of automation in sample preparation using new liquid handling robotics together with more efficient microarray techniques with ever-higher levels of automation, consequently their use of robot-compatible plates and reservoirs will increase. Integrating a high-specification microplate reader into their workflow will eventually require detection plates of superior quality too. As a major supplier of quality reservoirs and plates for this application we are pleased that one of the Addenbrookes team has won the sought-after DSLR camera." Reflecting Porvair's commitment to continuous technological innovation - the 2010/2011 microplate catalogue introduces a suite of exciting new products. An addition to Porvair's specialist microplate range is the new Glass Vial Storage plate - 96 high quality glass vials in a 48mm storage block - ideal for UHPLC applications. Porvair Sciences instrument range boasts two new thermal plate sealers. MicroSeal is a budget priced heat sealer with great performance, whilst the popular MiniSeal gets a makeover to become MiniSeal Plus - quicker, quieter, safer and more economical than before. Add to this new PCR plates, more sterile plate options and a new range of seals and you will see that the 2010/2011 catalogue remains an indispensable reference guide to any laboratory using or interested in using microplates. Researchers at the Natural and Medical Sciences Institute (NMI) at the University of Tübingen in Germany have installed a Kinexus rheometer from Malvern Instruments in the new GMP testing facility at its subsidiary, NMI Technologietransfer GmbH. The Kinexus is used primarily for the characterization of biomaterials, mainly hydrogels containing patient cells. Such hydrogels are used as a stabilizing 3D-matrix for innovative cell therapeutics in the exciting field of regenerative medicine, targeting for example the regeneration of articular cartilage, spinal discs and injured nerves. Regenerative medicine is a core competence and a key focus for various research groups within the NMI. The advent of new and more stringent regulation of the materials used in regenerative medicine now subjects them to controls similar to those applied for pharmaceutical products. To meet the need for pharmaceutical-type testing, NMI has established a new GMP facility at its subsidiary, NMI Technologietransfer GmbH, to enable the fully regulated testing both of regenerative materials and the biomaterials necessary for their delivery. 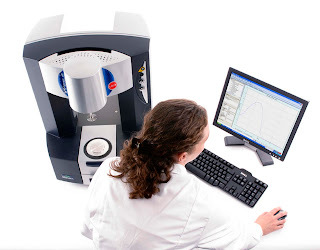 Kinexus is a rheometer from Malvern Instruments designed to meet rheology needs across a wide variety of research sectors, industries and application areas, for users at every level of experience. It enables precise analysis of the rheology of materials: from liquids to soft solids, processability to product performance, temperature to time dependence. Tecan has developed the HydroSpeed plate washer, an advanced system for optimized washing of cells, beads and ELISAs in 96- and 384-well formats. It offers full control over critical wash parameters via an intuitive touchscreen interface, with extra gentle drop-wise dispensing and tunable aspiration settings to help avoid loss of material and maximize assay efficiency. The HydroSpeed features advanced Cell Protection settings for washing of adherent and loosely adherent cells, allowing the user to dial-in extra gentle wash parameters to suit their cells, microplates and application. 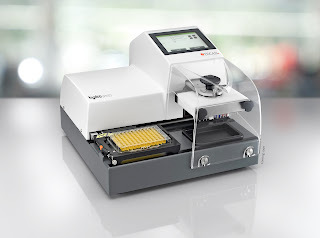 The system’s innovative Anti–Clogging function takes the hassle out of ELISA washing by automatically rinsing and soaking the wash head when the system is idle between runs, and the instrument’s Easy X-change system allows rapid removal and replacement of wash heads for intense ultrasonic cleaning. The HydroSpeed uses a patent pending design with two magnets per well for high performance magnetic bead washing, offering fast bead settling and excellent recovery rates, and can also be equipped with a vacuum filtration module for processing of non-magnetic beads. The HydroSpeed can be used in conjunction with Tecan’s Connect plate stacker for greater throughput efficiency, allowing semi-automated processing of up to 50 plates, or integrated into a Freedom EVO liquid handling platform to offer fully automated processing for cell-, bead- and ELISA-based assay workflows. Heptares Therapeutics Ltd, a drug discovery company creating new medicines targeting G-protein-coupled receptors (GPCRs), announced today that it has successfully generated a stabilised receptor (StaR) to a GPCR target nominated by Novartis using Heptares’ proprietary StaR technology. For the first time, this important target will be accessible to structure-based drug discovery technologies and approaches, thereby presenting opportunities to discover completely novel drug leads against the target. By achieving this drug discovery milestone, Heptares will receive its first milestone payment from the Novartis Option Fund, under the terms of the option agreement signed by the two companies in 2009. Gyros AB, a leader in the automation of miniaturized immunoassays, announced today that it has signed agreements with Alpha Analytical PTE Ltd (Alpha), Spinco Biotech Pvt Ltd (Spinco) and HVD Vertriebs Ges.m.b.H (HVD) to become sole distributors of the company’s immunoassay platform for the biopharmaceutical industry in their respective markets. AnaSpec, Eurogentec Group, is offering two recombinant proteins for use in Neurodegenerative Disease Research, α-synuclein (SNCA) and β-synuclein (SNCB). Both α-synuclein and β-synuclein are expressed and purified from E. coli. α-Synuclein is a 140-amino acid long recombinant protein (GenBank Accession # NP_000336) and β-synuclein is 134-amino acid long (GenBank Accession # NP_003076). α-Synuclein (SNCA) and β-synuclein, along with γ-synuclein (SNCG), are members of the synuclein family of small proteins expressed primarily in neural tissue and in some tumours1. Synuclein proteins, found only in vertebrates, possess a highly conserved N-terminal domain, with a variable number of 11-residue repeats and a less conserved C-terminal, with a preponderance of acidic residues1. α-Synuclein is used in Parkinson’s disease (PD) research2 and β-synuclein has been shown to induce mild experimental autoimmune encephalomyelitis (EAE) in Lewis rats3. These proteins can be used in applications such as ELISA, western blots and microscopy imaging. 1. George, JM. Genome Biol. 3, reviews 3002.1 (2002). 2. MG. et al. Nature 388, 839 (1997). 3. Sung, Y-H. et al. Protein Sci 15, 1162 (2006). 4. Trojanowski, JQ. & VM. Lee, Ann. N. Y. Acad. Sci. 991, 107 (2003). 5. Masliah, E., et al. Science 287, 1265 (2000). 6. Van Der, PH, et al. J. Neurosci. 20, 6021 (2000). 7. Feany, MB. & WW. Bender, Nature 404, 394(2000). 8. Weinreb, PH., et al. Biochemistry 35, 13709 (1996). 9. Rivers, RC. et al. Protein Sci 17, 887 (2008). 10.George, JM. Genome Biol 3, 3002.1 (2001). 11. ruening, W. et al. Am Cancer Soc 88, 2154 (2000). Oxford Medical Diagnostics, a developer of advanced diagnostic technology for rapid, accurate and low-cost diagnosis and monitoring of disease and metabolic functions, has announced that Professor Graham Richards is joining the company’s Science Advisory Panel. Professor Richards was a co-founder of one of Oxford University’s most successful spin-offs, along with Marchington. The company, Oxford Molecular Group plc, reached a FTSE 250 valuation of GBP 475 million. Professor Richards is one of the leading computational chemists in the UK, with over 300 publications. He served as Chairman of the Department of Chemistry at Oxford University from 1997 to 2007. He is head of the Centre for Computational Drug Discovery at Oxford. Throughout his career, Professor Richards has been involved in the commercialization of technologies. In 2001, he founded InhibOx Ltd. He was a director of ISIS Innovation Ltd, the University of Oxford's technology transfer company and was involved for several years with the Wellcome Trust in a similar capacity. He is also a main board director (formerly chairman) of IP Group plc, the listed intellectual property commercialization company. Polyplus-transfection SA, a privately-held company developing solutions for the delivery of nucleic acids in research, bioproduction and therapy, announced today that it has granted Roche Glycart AG, a Swiss biotechnology company fully-owned by Roche, a non exclusive license to use polyethylenimine (PEI) for in vitro transfection applications for research purposes. By entering into this license agreement, Roche Glycart AG becomes one of Polyplus’ sub-licensees for the use of PEI-mediated transfection applications for research purposes. This license will enable Roche Glycart AG to use this world-recognized transfection reagent in its research to produce antibody-based products. Results of the first ever chemoproteomic study of inhibition of HDAC (Histone Deacetylase) complexes published in Nature Biotechnology (Bantscheff et al. Advanced online Publication, DOI: 10.1038/nbt.1759) opens up the potential for a new way of studying potency and selectivity for inhibitors of epigenetic drug targets, such as HDACs. In the study, scientists from Cellzome have demonstrated for the first time that complexes really matter to how small molecule inhibitors ‘see’ their target. Epigenetic targets, those are targets that modify either DNA or its histone packaging to switch genes on or off, are of increasing interest in drug discovery. HDACs are emerging as an important class of epigenetic targets but existing drugs, and many in development, are non-selective with potential safety issues. The paper, entitled 'Chemoproteomic profiling of HDAC inhibitors reveals targeting of multiple HDAC complexes with compound class-dependent selectivity,' describes a detailed analysis of 16 HDAC inhibitors and reports distinct patterns of selectivity not only within the HDAC family, but also between the different complexes within which these enzymes operate. This is the first study that measures the binding of small molecules to native large protein complexes: results show that distinct complexes, all of which contain HDAC1/HDAC2 as the catalytic core, exhibit differential inhibition across a set of inhibitors. Hybrigenics, a bio-pharmaceutical group with a focus on research and development of new cancer treatments, has received from the European Patent Office the official notification of its intent to grant Hybrigenics’ patent on therapeutic uses of high doses of inecalcitol, under an accelerated procedure. Originally filed in 2009, this patent will cover inecalcitol doses higher than one milligram (mg) per day until 2029. Currently-marketed vitamin D analogues for their usual indications such as rickets, osteoporosis or chronic kidney disease do not exceed 10 microgram per day, ie 100 times lower doses. The maximal tolerated dose of inecalcitol has been established at four mg per day in hormone-refractory prostate cancer patients. The ability to treat patients with a vitamin D analogue in the milligram dose range is totally new. This makes inecalcitol uniquely suited to reach efficacious levels without side effects in new challenging indications such as cancer or psoriasis by oral administration. The same patent application is still under examination by the United States Patent and Trademark Office and by the World Intellectual Property Organization under the Patent Cooperation Treaty (PCT) procedure, to get full worldwide protection. “This patent stems from proprietary findings generated by Hybrigenics and will be further strengthening the existing intellectual property position of inecalcitol for 20 years,” said Rémi Delansorne, Hybrigenics’ CEO. Oxford Expression Technologies, th specialist provider of baculovirus-based protein expression solutions, has launched baculoFECTIN. This new non-toxic transfection reagent has been optimized for use in insect cells and proven to produce greater levels of transfection – leading to high level protein expression. The transfection spectrum comprises various established cell lines and primary cells. baculoFECTIN consists of two components, a positively charged polymer with DNA-binding capacity that is embedded into a novel porous nanoparticle. The complete nanoparticle complex protects the bound DNA from degradation by nucleases. Only the DNA nanoparticle complex with its unique size can be preferentially taken up by the cells. Within the cells, the released DNA-nanoparticle complexes are protected against DNA degradation. 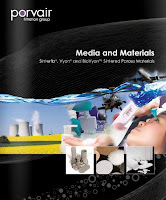 Porvair Filtration Group has announced the publication of a new technical brochure describing its range of advanced media and materials for OEM supply. Downloadable from www.porvairfiltration.com/view/PorousMediaAndMaterials.aspx, the new 12-page brochure describes Porvair's extensive range of sintered porous polymeric and metallic materials. Drawing upon these materials and extensive experience spanning industries, including pharmaceuticals and healthcare, enables Porvair to provide a fit-for-purpose option optimized to the customer's requirements. Proprietary core materials used by Porvair for OEM products include Sinterflo sintered metal materials, Vyon sintered porous plastics and specialized BioVyon porous plastics for applications in the life sciences. 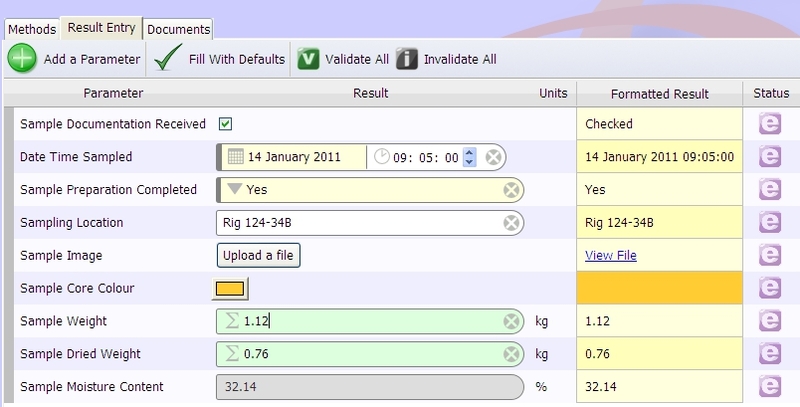 LIMS developer, Two Fold Software Limited, is releasing new user-friendly software that enables the company’s intuitive Qualoupe LIMS user interface to display results parameters with a clarity and flexibility not available in other commercial LIMS. Qualoupe has been designed to provide LIMS users with greater flexibility when entering test sample results. Results entry in most commercial LIMS is designed to allow input of basic types of results such as numeric value, calculated value and text but does not take into account other types of data that could be recorded as valid results. 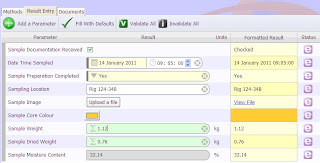 Qualoupe enables the following types of results parameters to be used to record test sample data: Numeric; Free Text; Calculated Value; Date; Colour; Time; Upload File; Date and Time; Pick List. At Pharmapack 2011, Multisorb Technologies, a leader in active packaging technology, will highlight its Calculations through Operations program. As a provider of a broad range of active packaging solutions, Multisorb supports its standard and intelligent sorbent products utilizing SimulSorb and SimulOx pseudo-empirical modelling programs.Multisorb’s sorbents are extensively used to ensure the stability of pharmaceutical, in-vitro diagnostic, medical device, dietary supplement, and drug/device combination products. This method involves sophisticated simulation modelling of the drug product in its packaging - a unique analytical tool that takes into account conditions during all stages of drug processing, from pharmaceutical formulation to the packaging environment and throughout the distribution chain. 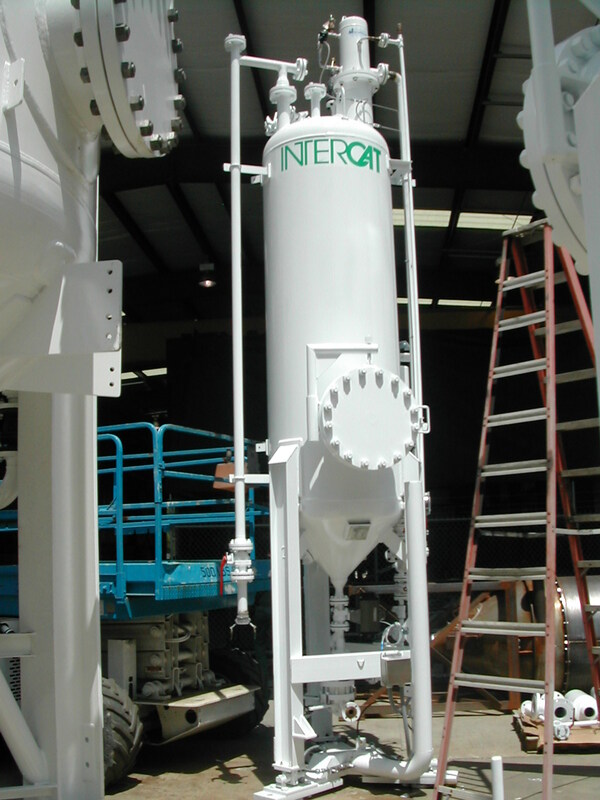 This allows for the most effective determination of sorbent requirements, and helps our customers to improve their speed to market with new products. SimulSorb and SimulOx are integral components of Multisorb’s Calculations through Operations value proposition, and utilize an advanced proprietary program which analyzes the drug product being packaged and predict its chemical and/or physical stability outcomes when exposed to moisture or oxygen in the headspace of a container.